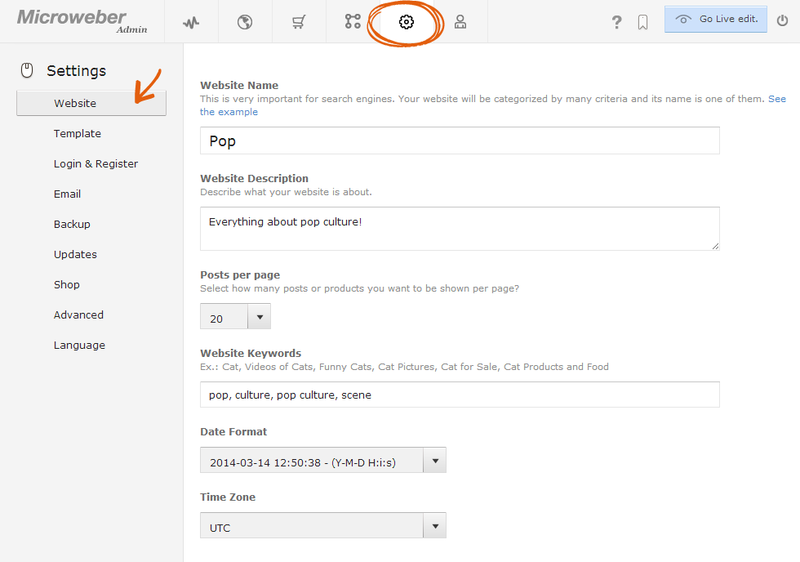 The Settings section is accessible from the Admin navigation bar and lets you manage and edit the global settings of your site. 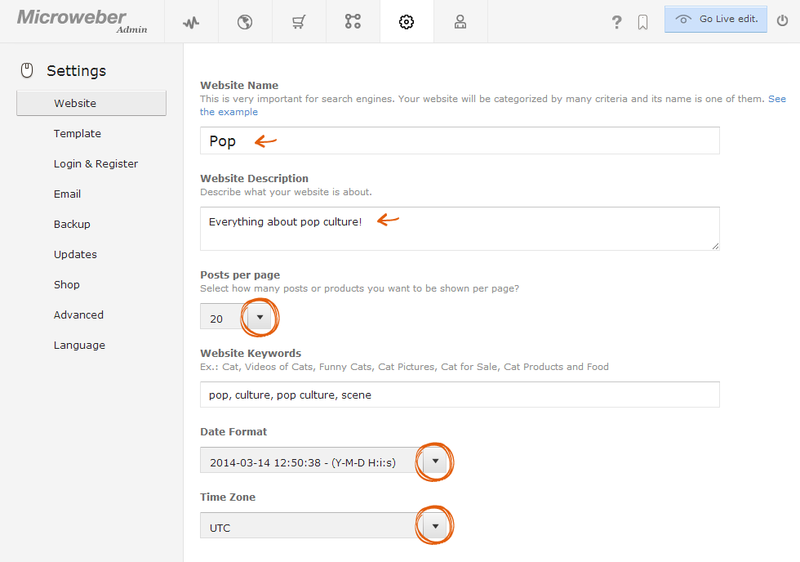 - Edit other settings like the date format, posts per page or the time zone. 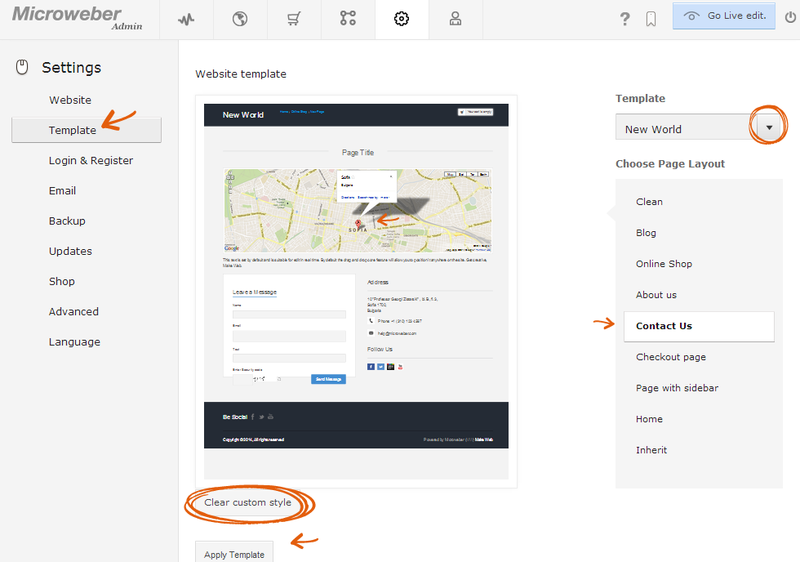 In Template you can choose your site’s custom template and page layouts. Keep in mind that we are currently working on delivering new templates aside from the default Microweber one. 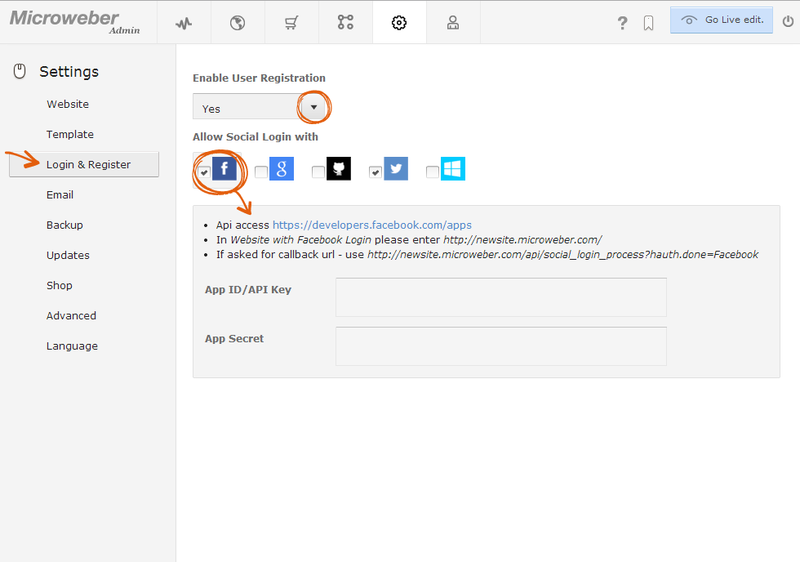 The Login & Register tab is your key to interaction with other users. If you wish you can disable user registration for your site, or allow logging in with different social networks like Facebook, Twitter, Google+ and others. 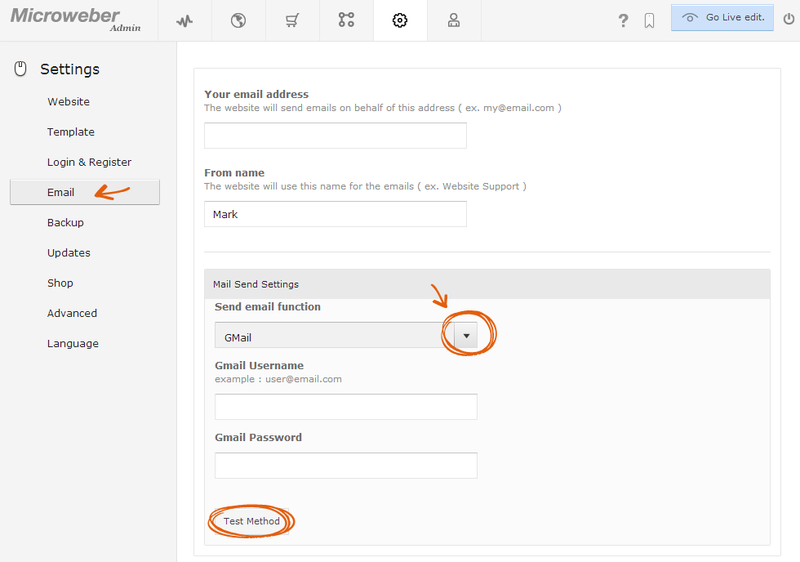 Navigating through the E-mail tab lets you configure the technical settings when sending mail (usage of SMTP Server, PHP function, Gmail, Yahoo or HotMail). You can also customize your profile as a sender, choosing a specific name or-email which will appear on the e-mails you send to visitors or clients. The Updates tab lets you know if your site is up to date. 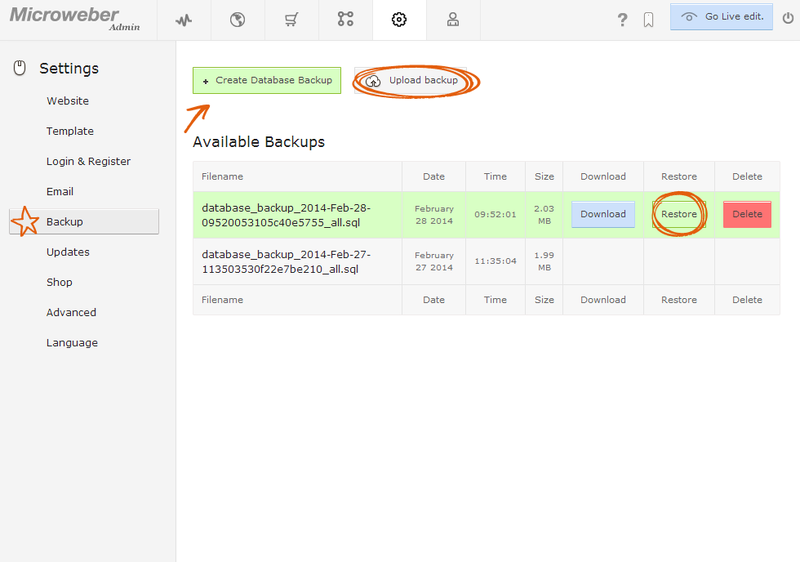 In case there are any system updates, such will appear on this tab and you can choose which of them to install. If you are already up to date, a green box will let you know of this. There is also a button which lets you to check for updates at any given time. 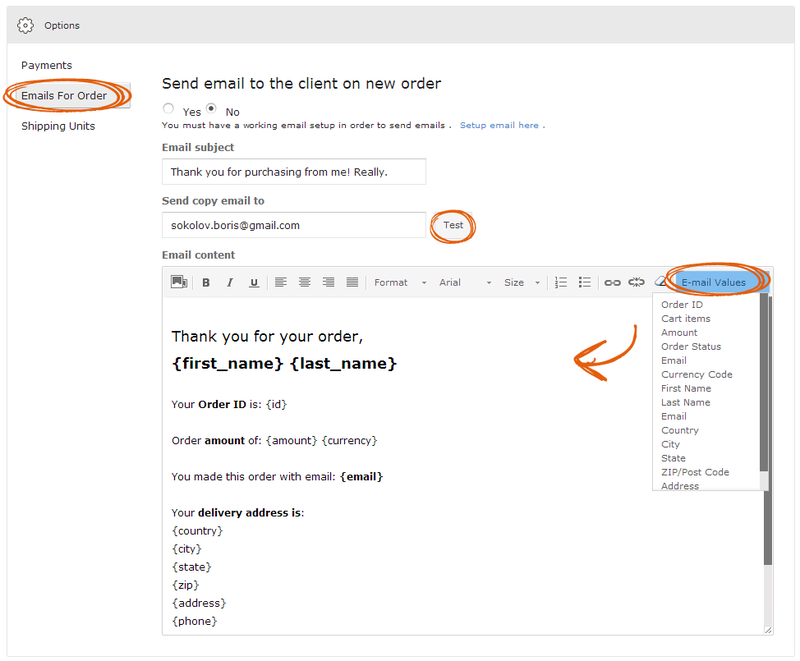 - Alter the e-mail template sent to all clients making orders from your online shop or just disable this function. - Insert Custom head tags. 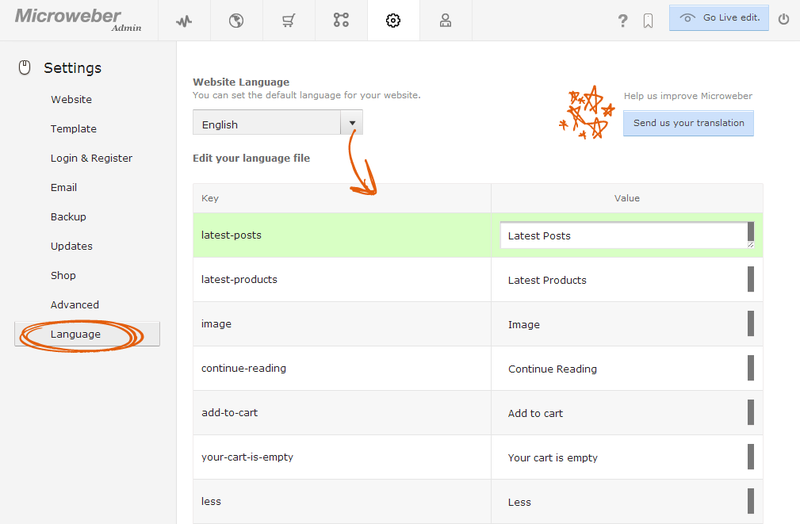 The Language tab lets you choose the language for your site’s interface. You can also edit your language file, renaming different elements per your choice. 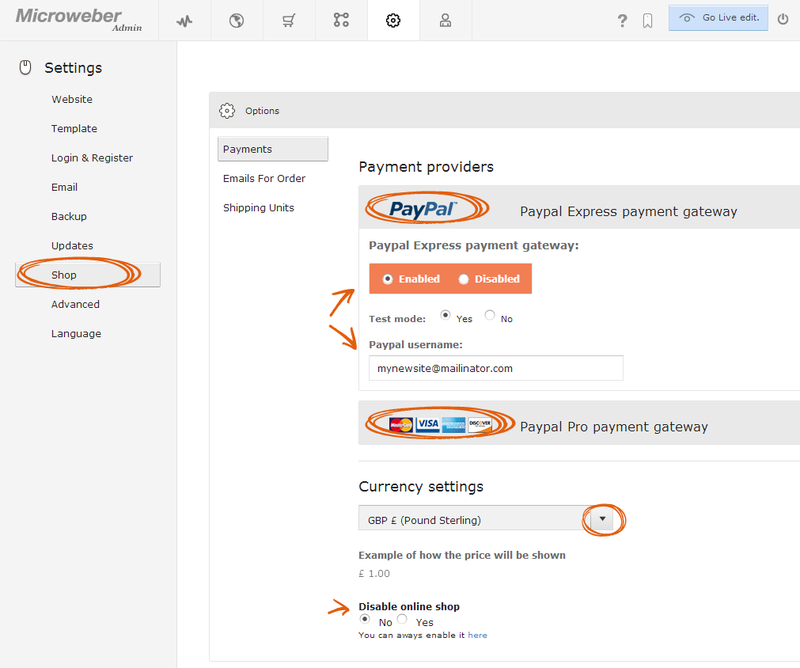 You can also make a contribution with a translation of Microweber in your own language by clicking on the blue "Send us your translation" button.